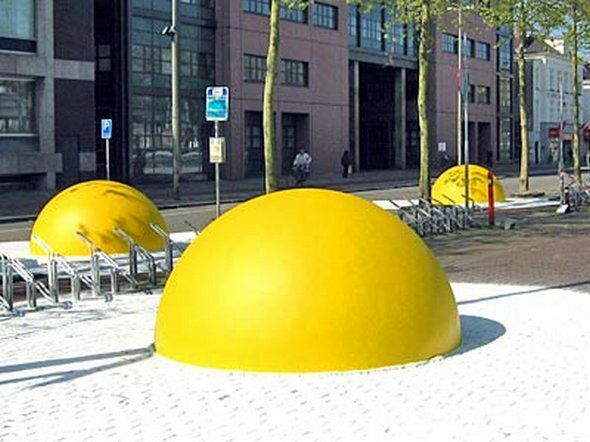 These sunny-side-up creations is the work of Famous Dutch artist Henk Hofstra. 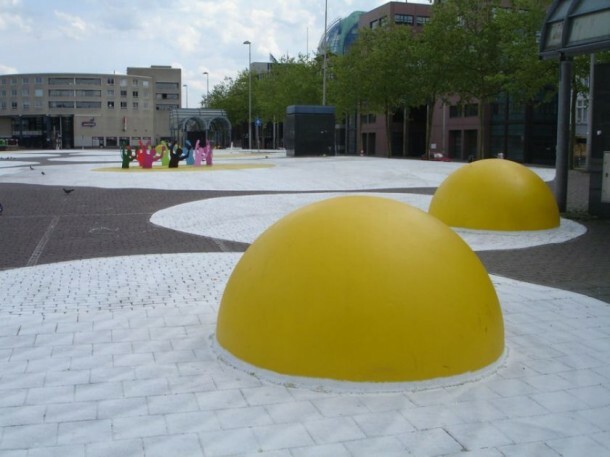 His Art-Eggcident is open to all in the town Wilhelmina Square. 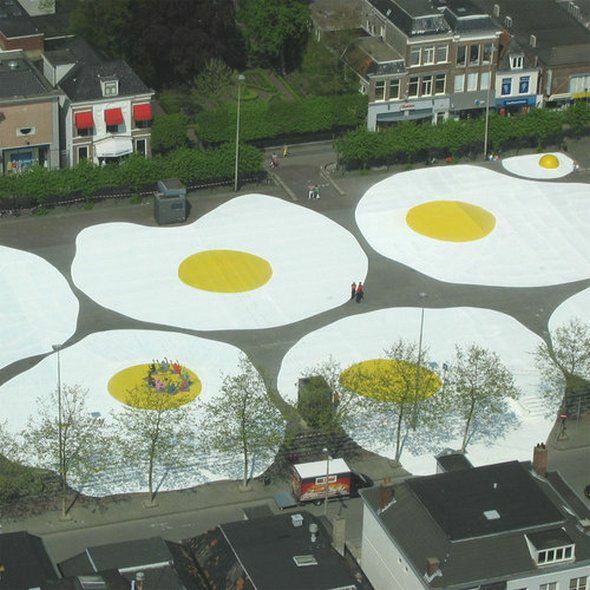 The eight fried eggs have a diameter of 7.5 meters. 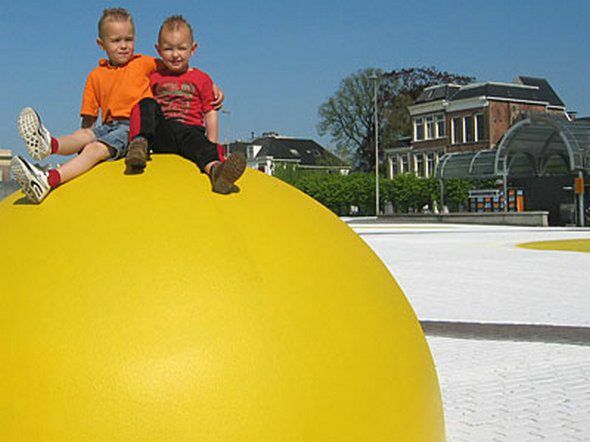 Some have a bulging yolk 2.3 meters high. 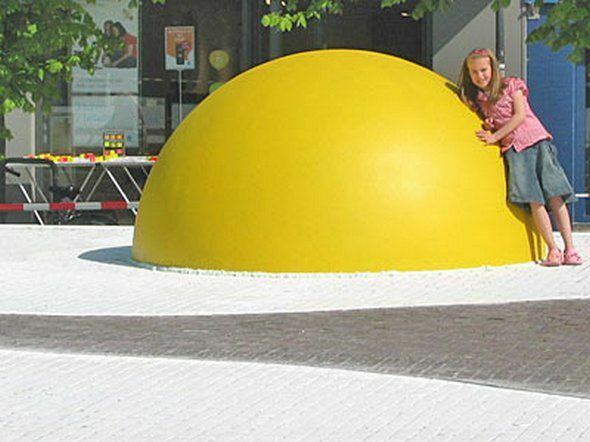 Members of the public have come out of their shell to engage with the artworks. 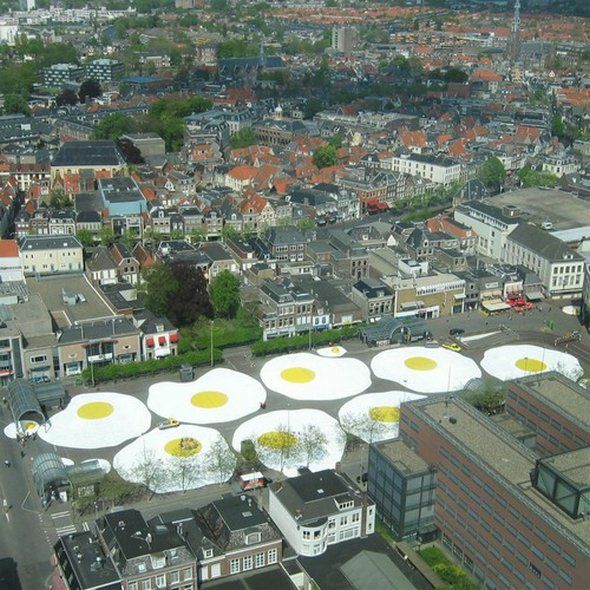 The eggs will fry in the sun for the next six months… While breakfast lovers get to admire his extraordinary talent. check out..